Last summer when Urban Sketchers Seattle met at Shilshole Marina, the morning started out chilly and foggy, though that burned off quickly. 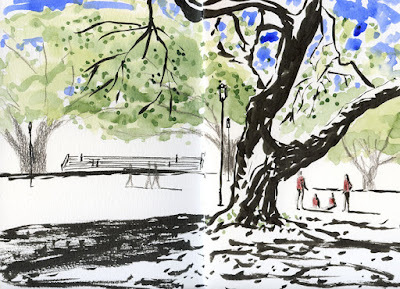 Not so today for the Friday sketchers – we had full-on sun, clear, blue skies and excellent opportunities for shadows. 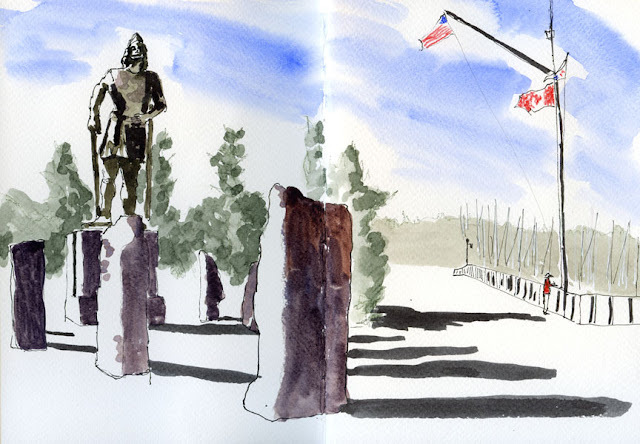 Although I sketched Leif Erikson’s statue last time, the shadow opportunities prompted me to take a wider view this morning to capture the whole memorial to Nordic immigrants. On one side of each of the stone markers is a plaque engraved with individual immigrants’ names and the year they arrived. I stood in full sun to make this sketch, and it took me longer than planned because the one you see above was the second try. The first (mis)try is shown below. Shortly after beginning, I saw that my proportions for Leif were all wrong – so I abandoned the sketch immediately. Now that I’m going on my fourth year as a sketcher, I still think of myself as a beginner, though I’ve also gained much experience from daily sketching. It occurs to me that nearly four years of experience does not prevent me from making mistakes like the abandoned sketch. What four years of sketching has given me is the wisdom to realize (most of the time) that when proportions are wrong, no amount of futzing is going to make the sketch look right, so the best solution is to start over quickly. 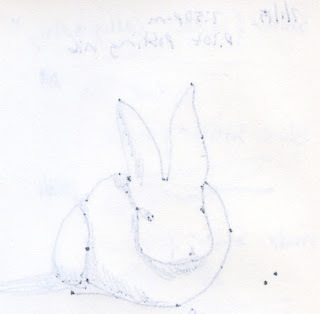 During my first couple of years, I would have kept going, not really understanding why the sketch didn’t look right. Even if I understood that, I would have continued anyway, trying to fix it. After wasting an hour or more, I’d come to the same conclusion: The sketch still didn’t look right. If abandoning a bad sketch immediately is all I’ve learned in four years, I’m good with that! Last night was our neighborhood’s 20th annual Maple Leaf Summer Social at Maple Leaf Park. It’s a fun, low-key family festival highlighted by free ice cream bars donated by Maple Leaf Ace Hardware/Reckless Video owners Mike Kelly and Kathy Stephenson. Last year they gave out 1,750 ice cream bars during the two-hour event! Not to be outdone, Flying Squirrel Pizza gave out free pizza slices, too. Kids got their faces painted and balloon animals made, and everyone enjoyed live music and the cool breeze on a hot evening. Scarfing down our Dove bars before they melted, I looked around for a sketch while Greg searched for photo opps. 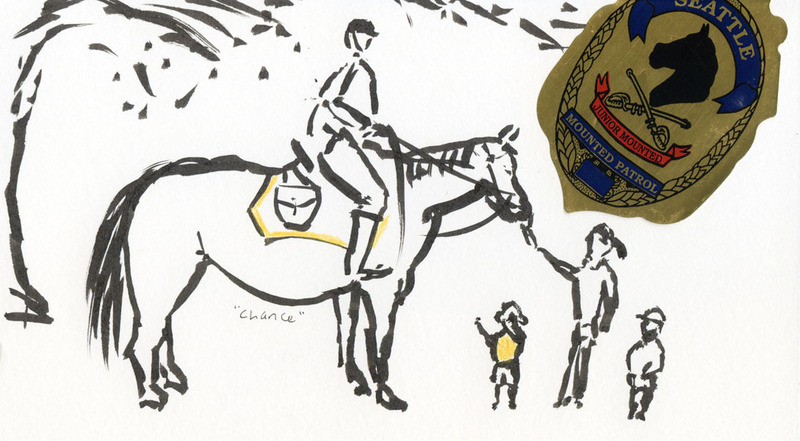 New to the festival this year was a Seattle Police Department mounted police officer and his horse, Chance, a 10-year-old quarter horse. I even got a sticker! 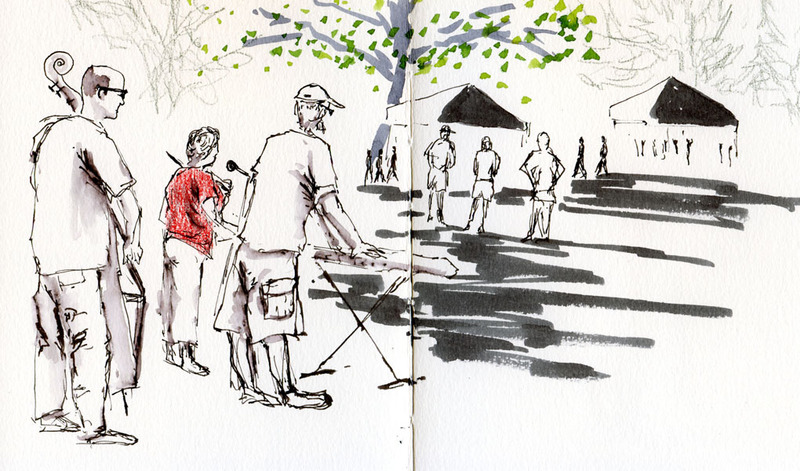 Eventually I wandered over to listen to the band and stood behind the musicians so I could get more of the park in the composition. 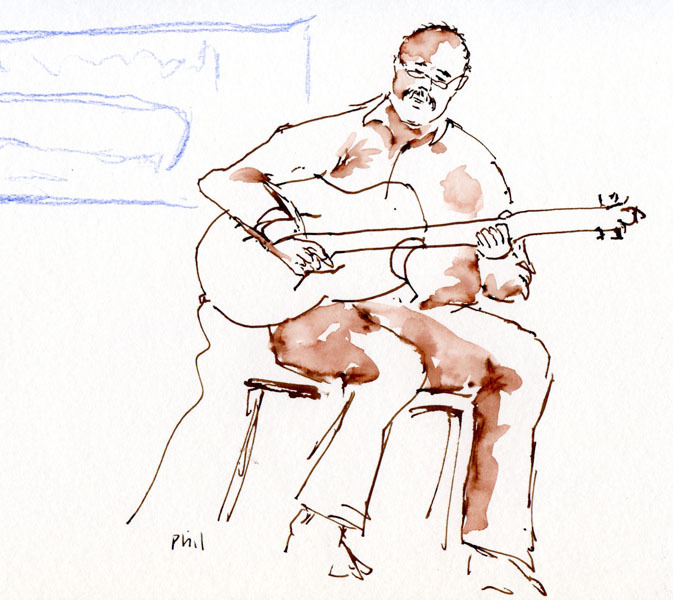 Free ice cream, live music, sketching – that’s my idea of a perfect summer night. 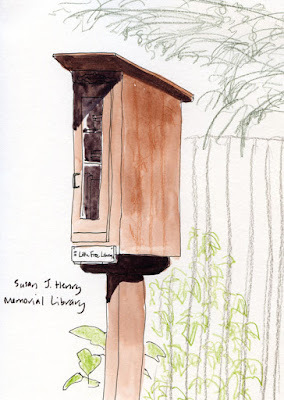 This is a Little Free Library that I spotted several months ago in my own Maple Leaf neighborhood. It’s directly across the street from another one that I sketched last month. Although the design and construction of the two libraries are so similar that I’m sure they were built by the same person, this one is decorated very differently: It has a rabbit theme. 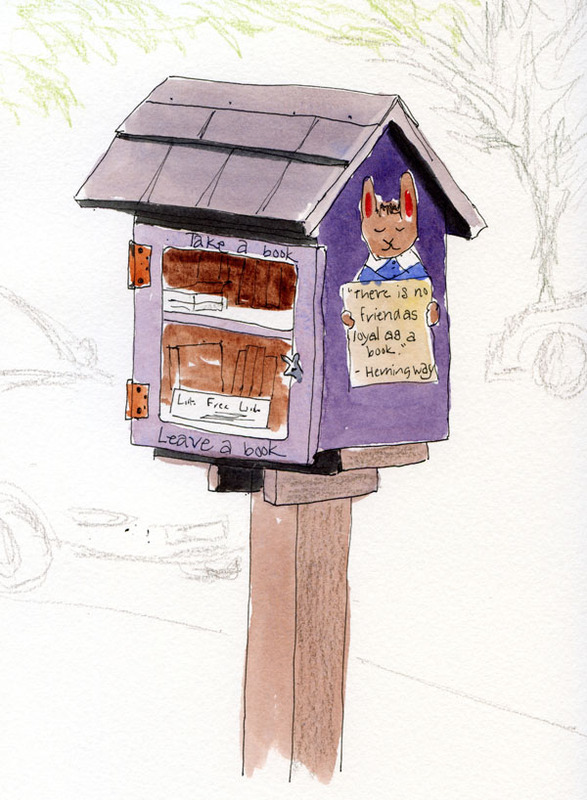 In addition to the rabbit painted on the side (along with a Hemingway quotation – “There is no friend as loyal as a book”), the door knob is also a tiny bunny. Technical note: See where I wrote the quotation? My new Pilot with a posting nib is the only fountain pen I own that can write that fine! 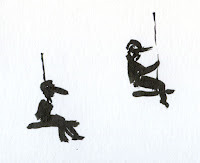 It’s not for loose, expressive drawings, but I sure like it for certain tasks. Assuming that Susan J. Henry was a family member or some other loved one of the home owner, I was curious nonetheless, so I Googled the name. It turns out that the former Capitol Hill branch of the Seattle Public Library was actually called the Susan J. Henry (1854-1921) branch. She was the wife of Seattle capitalist Horace C. Henry. 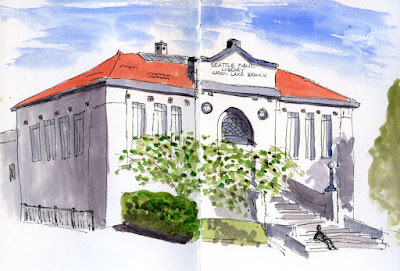 In 2003 the library was replaced by a new building and renamed the Capitol Hill Branch. I’m guessing that the sign was salvaged from the previous building. You learn something every day! Another thing I learned today is that the Bitter Lake neighborhood I drove through is full of trees with bad haircuts. I now have a whole new area to cover this winter when I sketch from my car. Although it wasn’t my plan when I started, sketching my neighborhood branch of the Seattle Public Library has become an annual tradition. 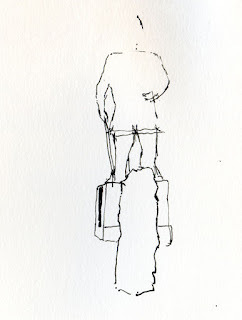 I always pick a day like today – sunny enough for shadows, not too hot or too cold – and I stand at the same bus shelter across the street so that I have the same angle each time. Now that I’ve done it four times, it’s interesting to look at them together (see below). 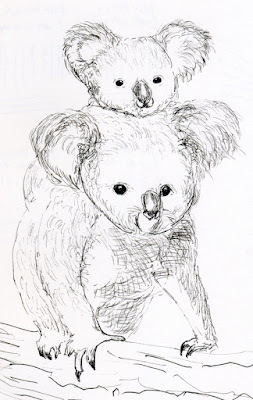 I don’t necessarily think each later year’s sketch is better than the previous one, because I like certain things about each, even that first one which seems so pale and tentative. I remember how scary it was then to tackle such a formal, classic style of architecture (I’d only been sketching for a year). It’s not scary anymore, but I have to say, it’s no less challenging. I still struggle with perspective and getting the windows lined up evenly. It’s rather humorous that the building hasn’t changed at all, yet some details in my sketches seem to morph over time. Some years, I spent a lot of time on tiny details that I skipped altogether in others. I suppose one thing is inescapable: My “style,” whatever it is, follows me around from year to year and somehow remains consistent, even as my skills or materials change. 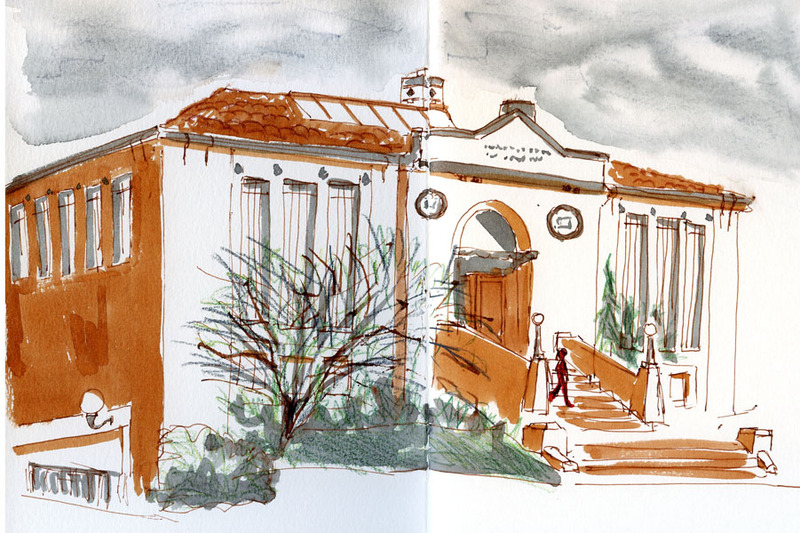 How about you – do you ever sketch the same subject regularly just to see how your sketching style changes over time – or doesn’t? 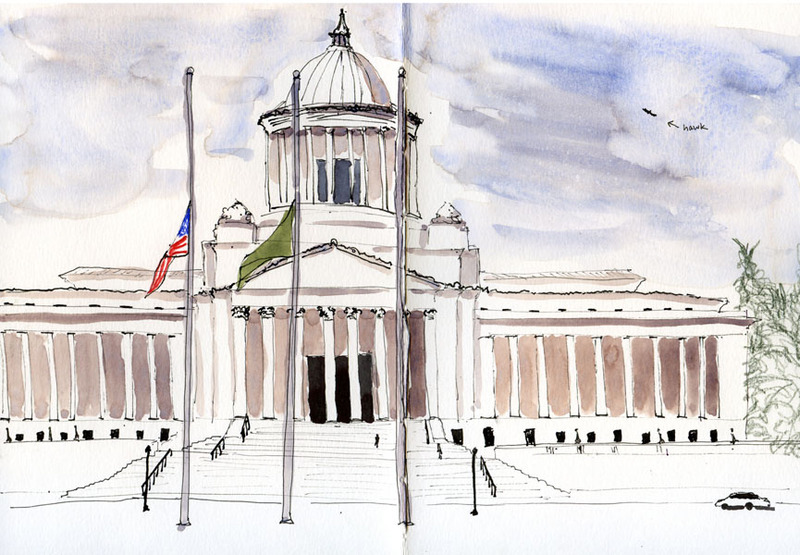 For the 48th quarterly World Wide SketchCrawl, Urban Sketchers Seattle as well as sketchers from Marysville to Bainbridge Island gathered at the steps of the Legislative Building in Olympia for a day of sketching. 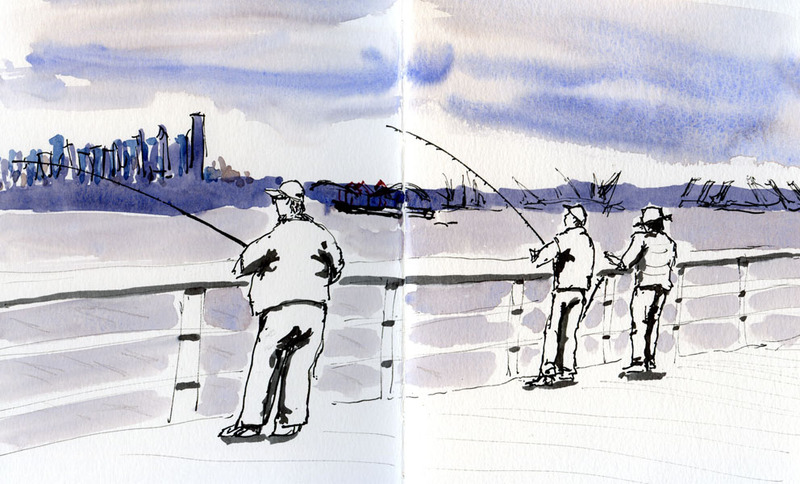 The morning was cloudy and 60 degrees – the world’s best outdoor sketching weather, if you ask me! I have been wanting to sketch the Capitol building for a long time, so my first mission was to walk across the boulevard to the top steps of the Temple of Justice building and face the Capitol squarely. The sun stayed behind clouds most of the morning, which was great for sitting outdoors, but I was hoping for a peek of sunshine to help me with shadows. At 11 a.m. when the building opened to the public, I could hear the “Star Spangled Banner” playing somewhere. The flags were at half-staff for the five military service members who were killed Sunday in Chattanooga. 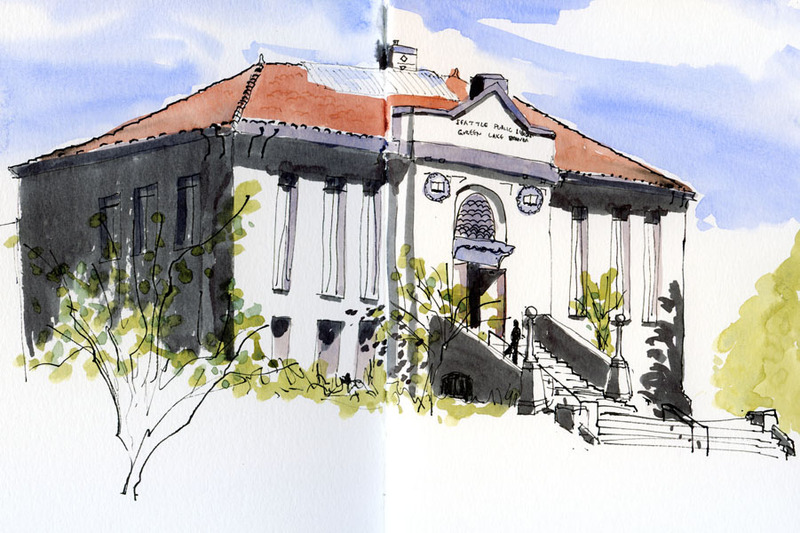 Since that sketch took more than an hour, I spent most of the remaining time before the sketchbook sharing wandering around to see the beautiful Capitol campus that I rarely see. 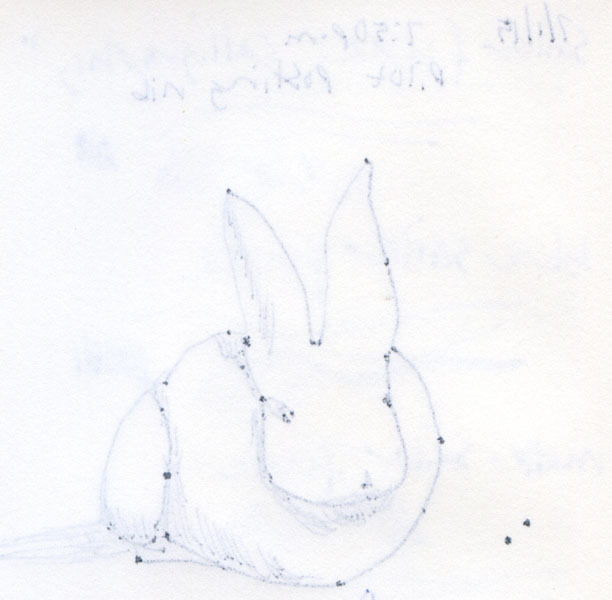 I made a mental list of a number of things I’d like to sketch the next time I visit. 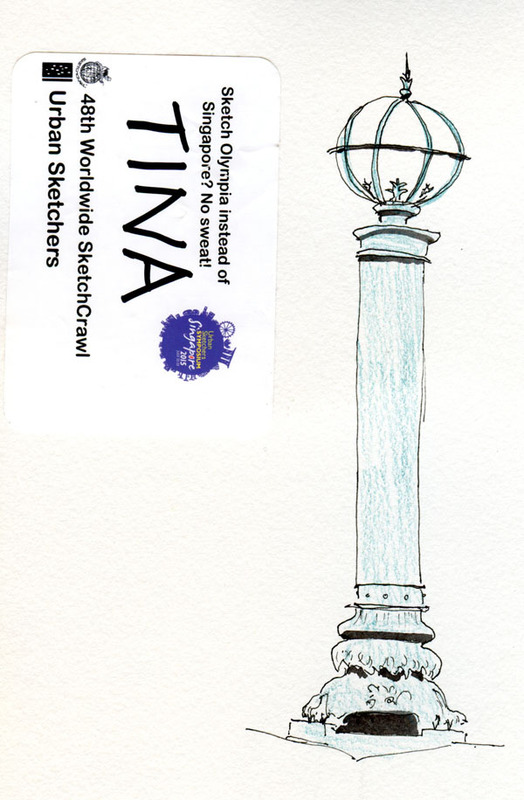 I did squeeze in a quick detail sketch of one of the lamp posts in front of the capitol. 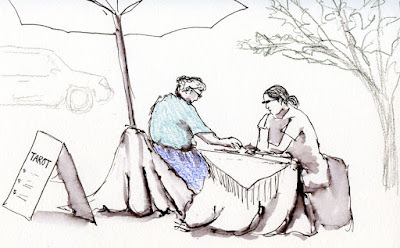 Next on the itinerary was to meet up again at the nearby Olympia Farmers Market, which is a smaller and cozier version of Pike Place Market, but just as colorful and fun. 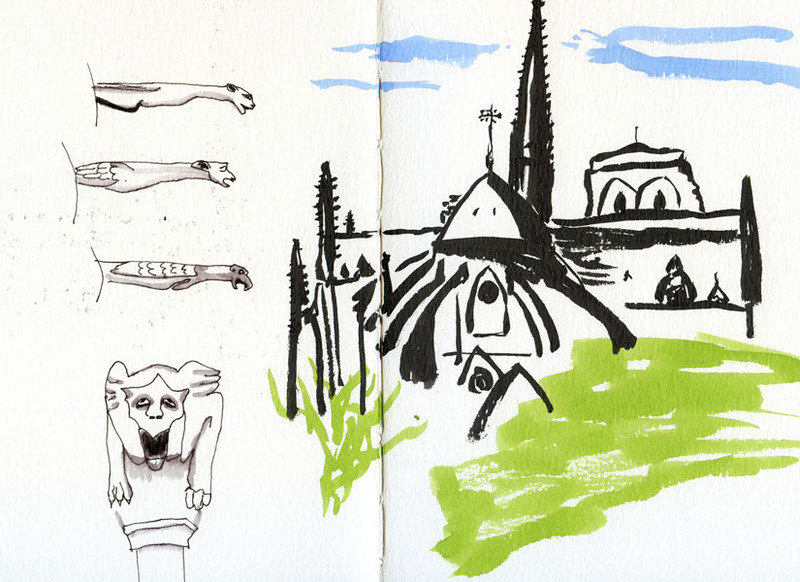 That’s where I got my people-sketching fix. 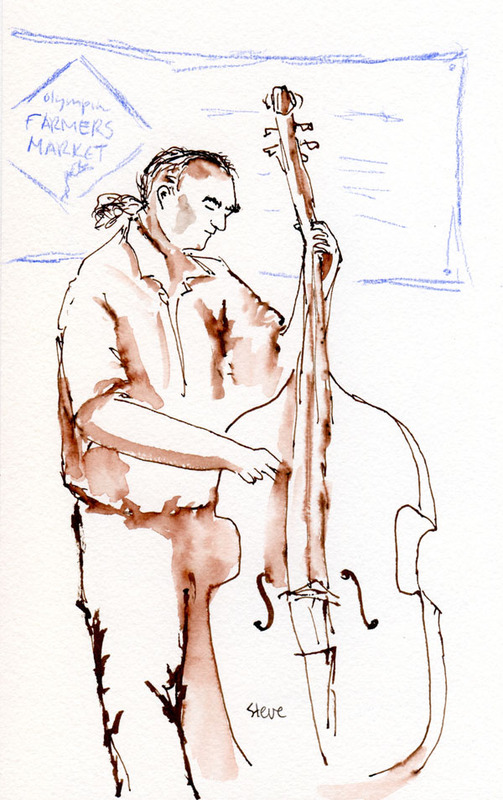 During lunch, the jazz band Tra-La-Lu performed on the main stage, which is an actual stage – no casual buskers, these guys! 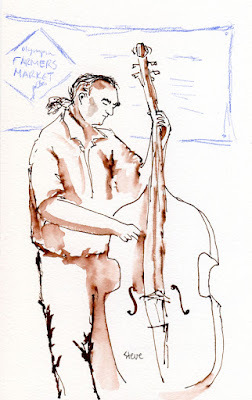 I regret that their set ended before I could sketch the trumpeter. Interestingly, I found both a palm reader and a tarot card reader working this market, and both seemed to have a continual stream of clients as I sketched them. If there’s a connection to be made between our state governance and the need for psychic services, I’ll let you make it. 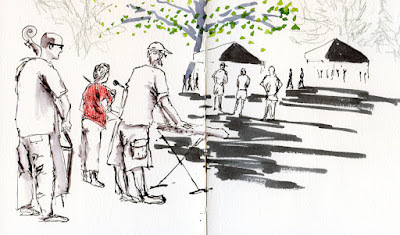 And speaking of the Urban Sketchers Symposium, next year it will be in Manchester, England! 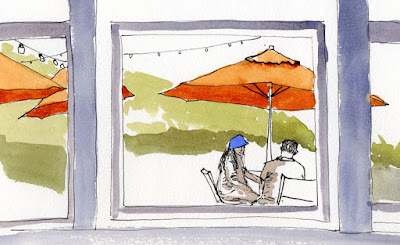 Salty’s on Alki Beach was today’s destination for the Friday ad hoc sketchers. Not so much the seafood restaurant itself, although some sketchers did end up eating there, but more for its décor – a few large, rusty remains of the Kalakala, the iconic Art Deco ferry that is unfortunately long gone, and another Astronaut on the Town. Reveling in the downtown Seattle skyline and gloomy, overcast sky coloring Elliott Bay a steely gray (do you think maybe I’m a native? 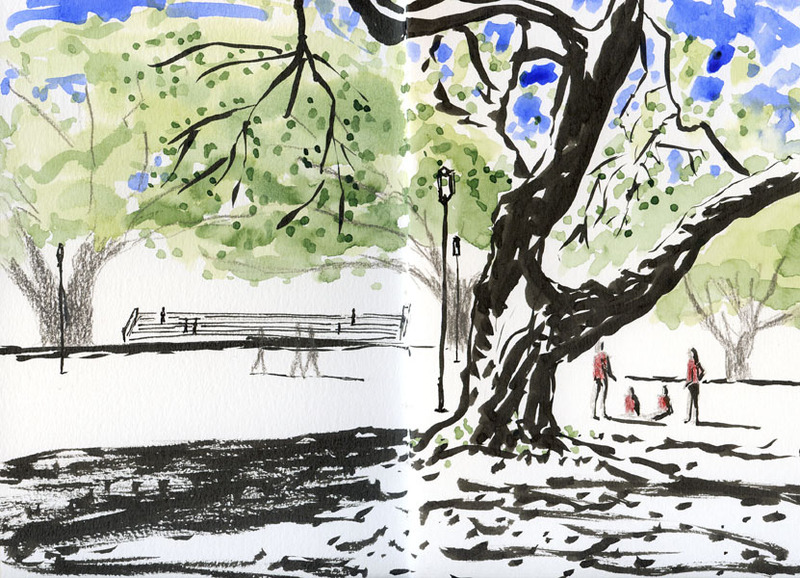 ), I walked through the park back to Salty’s. 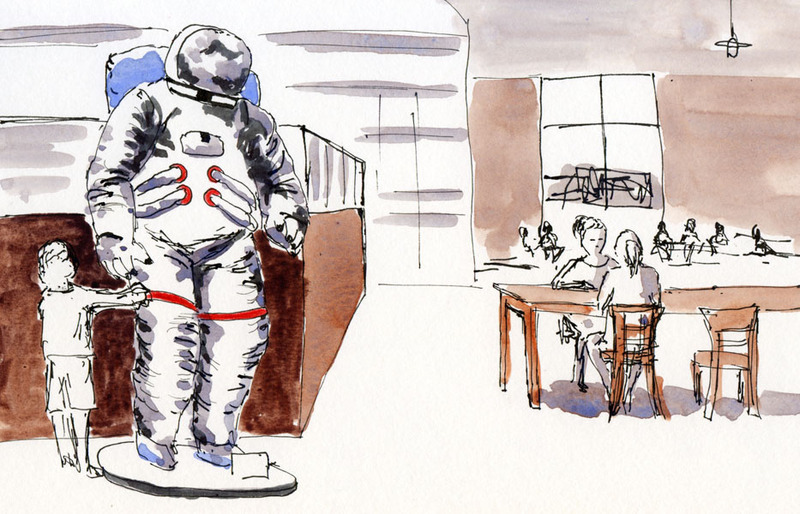 On the restaurant’s porch was “Aquarius,” an Astronaut on the Town painted by Xavier Lopez Jr. Since the restaurant wasn’t open to the public yet, I thought I’d be safe sitting with my back against the front door, but it turned out that a wedding was about to take place. A bride nervously teetered down the stairway on spike heels with her entourage, while others frantically kept the groom inside until she was safely out of sight. 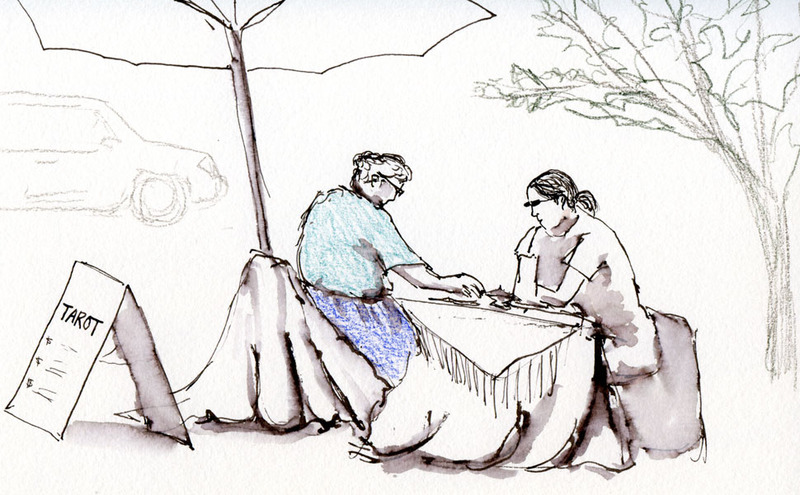 I finished that sketch quickly to get out of the way before the wedding guests started appearing. My plan was to sketch the Kalakala remains in the parking lot next, but as I was looking for a good angle, it started spitting, and then the spitting turned to full-on rain. By then I was already walking through Seacrest Park again, so I dashed into Marination Ma Kai, a Hawaiian café, near the fishing pier. 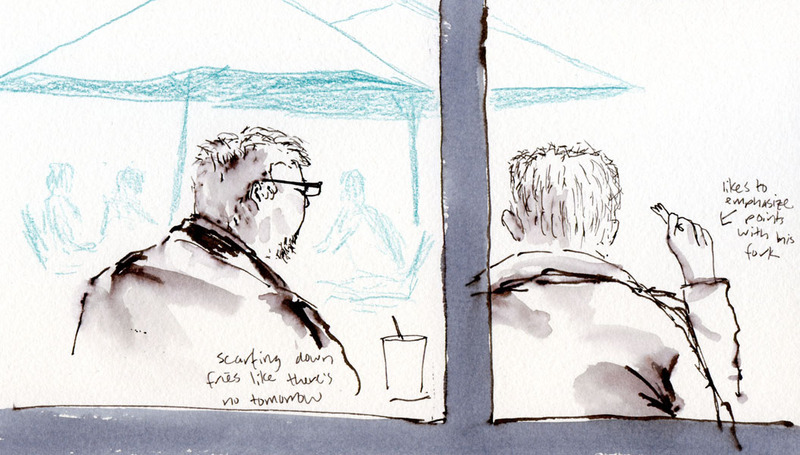 I would have preferred sketching outdoors, but on the other hand, a musubi snack and a table with a view of their deck wasn’t so bad, either. 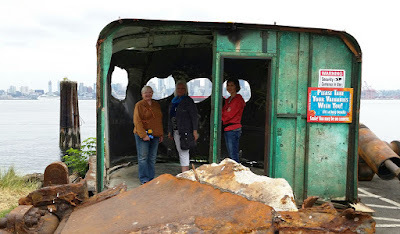 A few sketchers within the rusty remains of the Kalakala. Around 3 a.m. we were awakened by sirens from multiple fire engines and other emergency vehicles – and they were stopping disturbingly close to our home. The sirens seemed to go on for nearly an hour. The 6:30 a.m. TV news showed where they were busy: Three houses had caught fire only four blocks away from us! After breakfast we walked up to Eighth Avenue Northeast and Northeast 86th Street to see the damage. 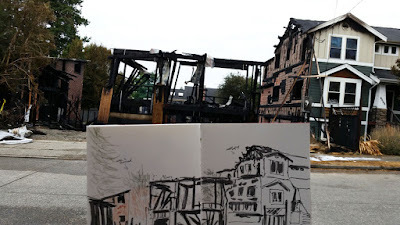 Not much was left of the house where the fire originated; only a few blackened supporting beams remained, and I could see all the way through it to the scorched trees behind. 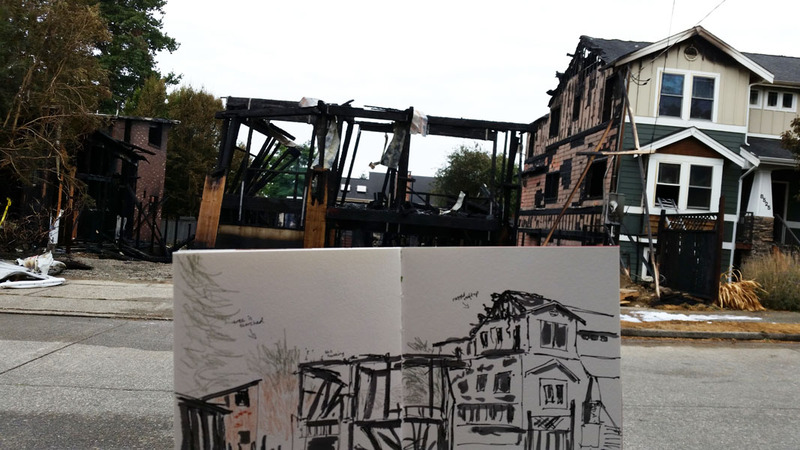 Wisps of smoke still rose from the smoldering timbers. The two houses on either side were both badly damaged also. Directly across the street at the St. Catherine of Siena School (adjacent to the church of the same name), several windows had blown out from the heat, and shattered glass covered the sidewalk. Even the power lines nearest the houses were scorched. About a hundred firefighters worked overnight to put the fire out. Very fortunately, no one was injured. 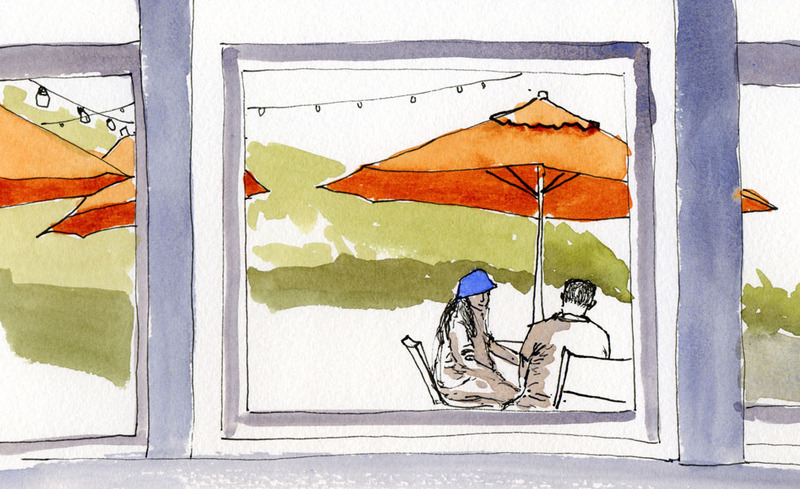 As I sketched, I overheard the growing crowd of neighbors chatting with the owners of the three houses. I was thinking that the destroyed middle house had still been under construction, and indeed, that was the case. The cause of the fire was yet unknown. I felt bad for the owners, standing on the sidewalk with the rest of us, looking exhausted and stunned. Three fire engines were still at the scene draining water from their hoses. I didn’t see any TV reporters, but a TV camera van was still there, along with a photographer. 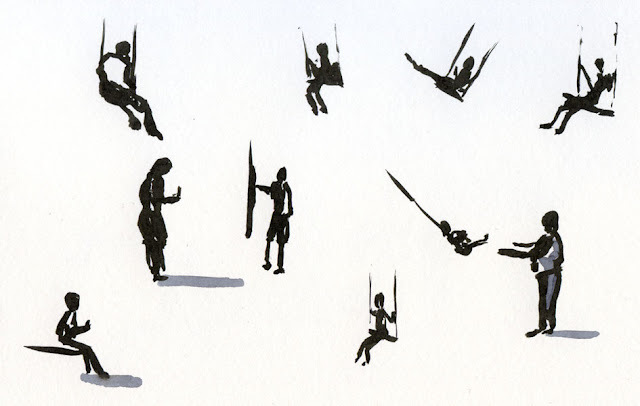 It’s fascinating to watch kids on swings and to try to capture the rhythm of that motion. 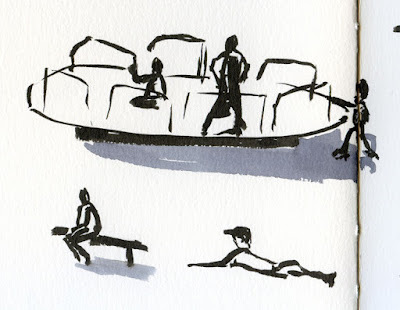 Sitting on a park bench, I started out thinking I’d capture a large scene at Green Lake playground. A few minutes later, I had filled a sketchbook page with mostly gesture sketches of that to-and-fro motion. 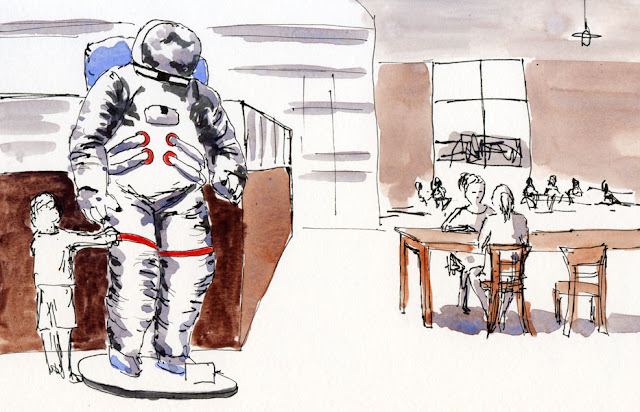 The Museum of Flight is celebrating its 50th anniversary with a public art project called “Astronauts on the Town.” Local artists have decorated 25 life-size astronaut statues that are standing in various restaurants, museums and other public venues throughout the summer. 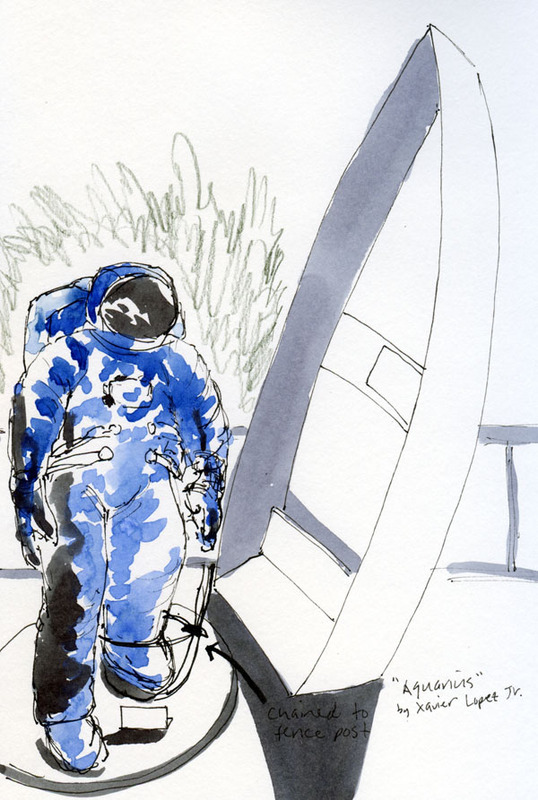 Kate Buike, a Museum of Flight volunteer, is on a personal mission to sketch all 25 astronauts! 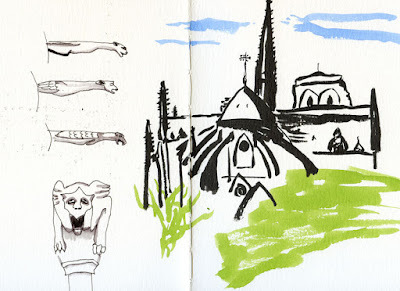 I’m not that ambitious, but I want to try to sketch at least the ones in my neck of the woods when I’m in the area. In conjunction with the project, the museum is sponsoring a contest for two round-trip Alaska Airlines tickets. 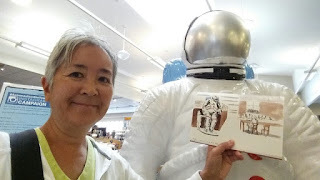 To enter, participants have to take a selfie with an astronaut and post it on Instagram with the tags @museumofflight and #AstronautsontheTown. How could I resist participating? 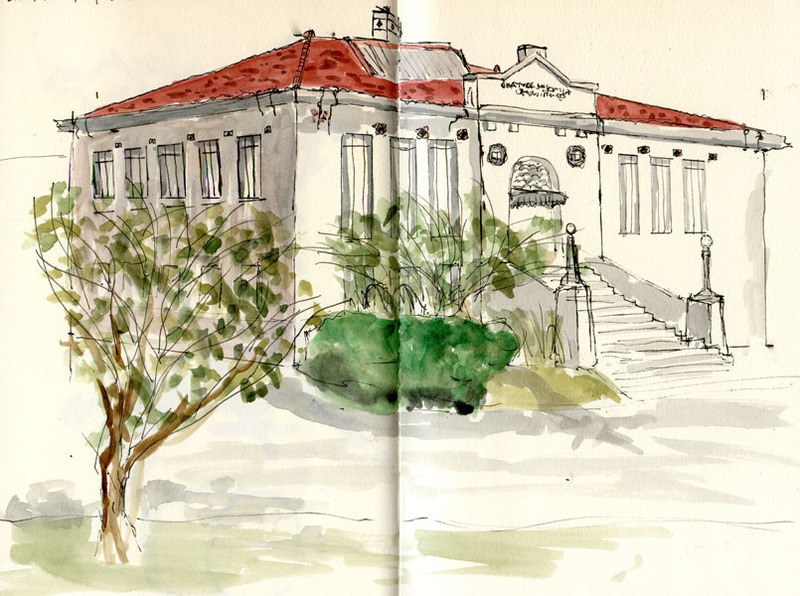 The past weekend was so hot – a record-breaking 97 degrees yesterday – that I didn’t get out to sketch at all! 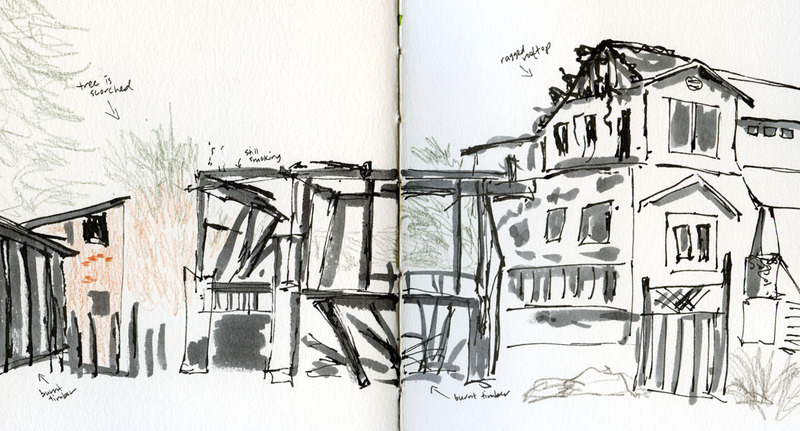 Heat makes me grumpy in general; you can imagine how crabby I was that it kept me from sketching outdoors. Thankfully, our heatwave broke overnight, and I woke to a cool stream of air coming through the bedroom windows – ahhh! Relief! After a busy morning of appointments, errands and shopping, I got home and realized I had forgotten the broccoli. This afternoon, it’s a pleasant 76 and sunny, so I dashed back out for the broccoli from the Green Lake PCC. 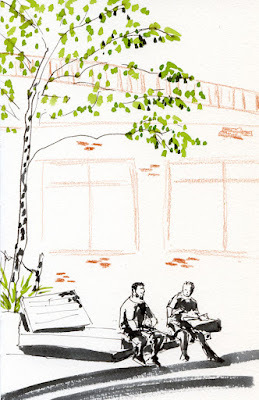 My ulterior motive in choosing that food store was that it has a quiet, shady courtyard where neighborhood workers bring their bag lunches or stop for coffee. 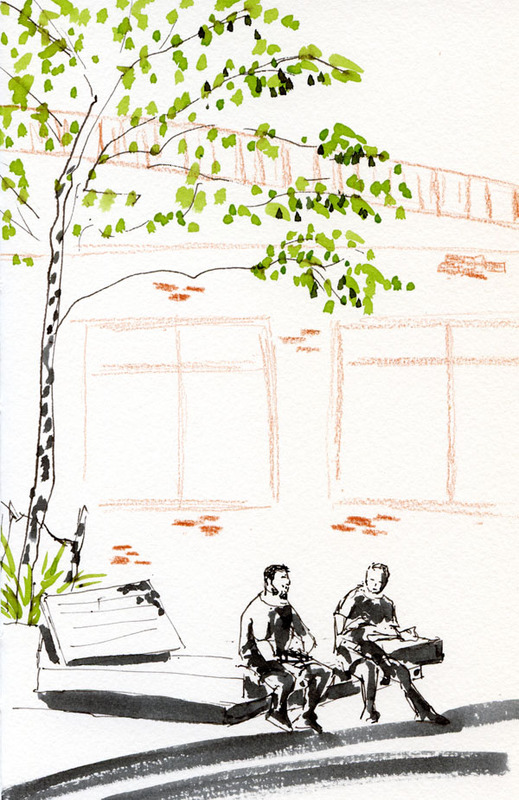 It’s also an ideal place for a 15-minute sketch on a busy day to celebrate outdoor sketching weather again! 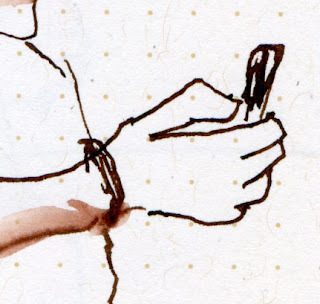 Under any circumstance, hands are challenging to draw, and from a distance, they’re nearly impossible. 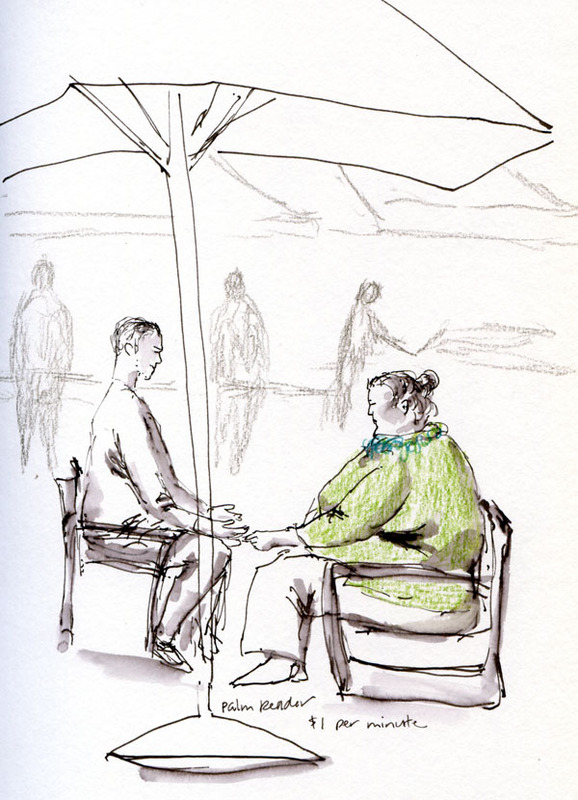 When I’m sketching people, I usually focus on the face and body posture, but when I get to the hands, I dismiss them with a scribble. 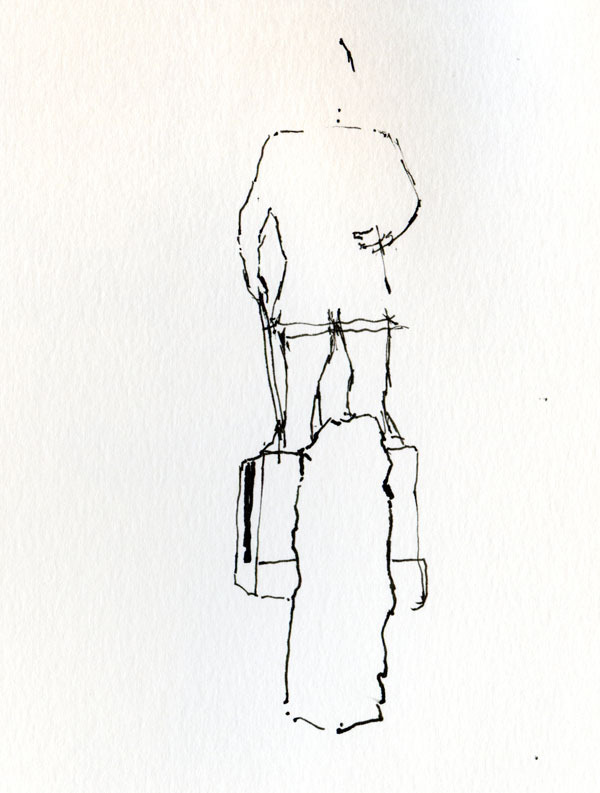 I took the bus downtown twice during the past week, giving me lots of time to practice sketching fellow commuters. On these three people in particular, I had good views of their iPhone-engaged hands. (I did also draw their faces and some parts of their bodies that the hands were attached to, and you may see them eventually, but I wanted to focus on their hands in this post.) 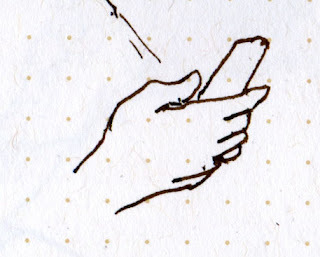 The strangest view was the pair of hands at right – that scrolling left thumb. We were given the rare gift of the opposable thumb, and this is what we choose to do with it! 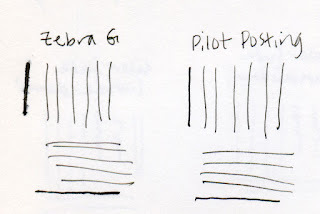 Ever since I discovered the flexy, ultra-fine line of the Zebra Comic G dip nib that I loved using in my pen and ink class, I’ve wondered if a fountain pen equivalent exists. 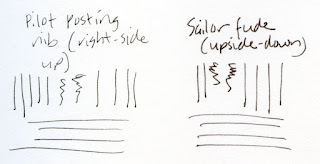 My favorite Sailor fude nibs turned upside-down will produce a fairly fine line – fine enough for most of the sketching I do – but not fine enough for the kind of hatching I was trying to reproduce when copying masters. 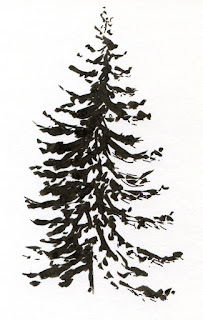 I’d given up on finding a Frankenpen body for the Zebra G – all my attempts were dismal failures – but I still wanted a way to take that nib out of the house without the muss and fuss of dipping into a bottle of ink. 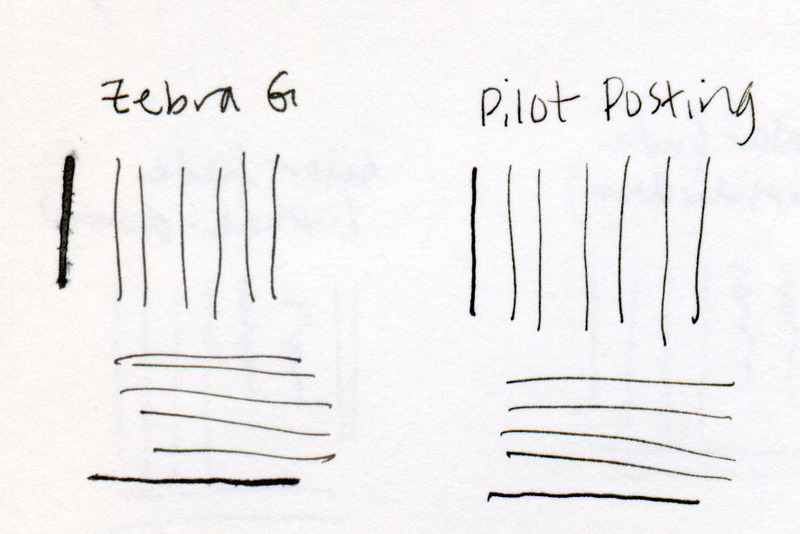 Furthermore, the Zebra Comic G is scratchy enough to annoy me. 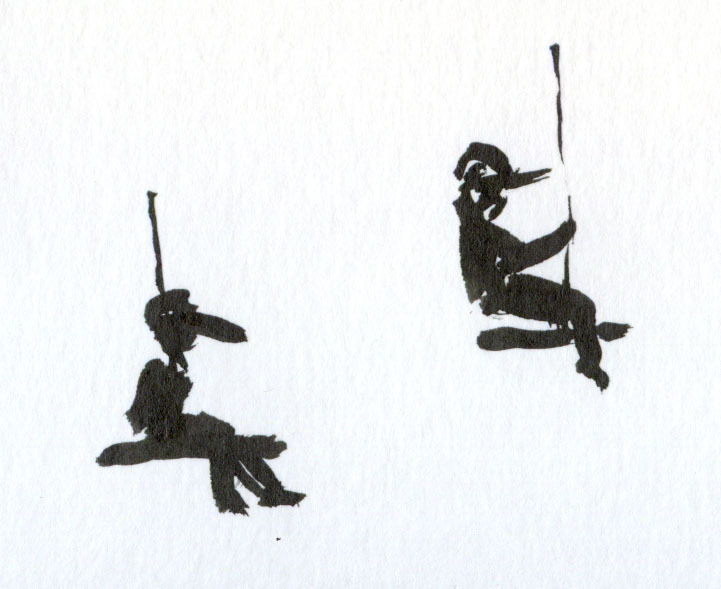 Although I tolerate it, I prefer a smoother nib. The solution came serendipitously when I wasn’t even searching. At a meeting of the Seattle Pen Club, a member happened to show me his Pilot pen with a “posting” nib (identified as PO on Pilot’s product numbers). 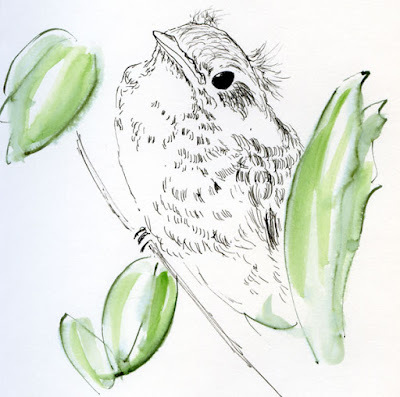 Before seeing it, I had heard that the PO nib was designed to be used on very thin, rough or poor-quality paper – the kind that would make most fountain pens feather and bleed to high heaven. Apparently you could work newspaper crossword puzzles with this nib! Since I avoid writing or sketching on paper like that, I didn’t pay any attention to the posting nib – and also didn’t give much thought to what kind of nib was needed to write on such paper. 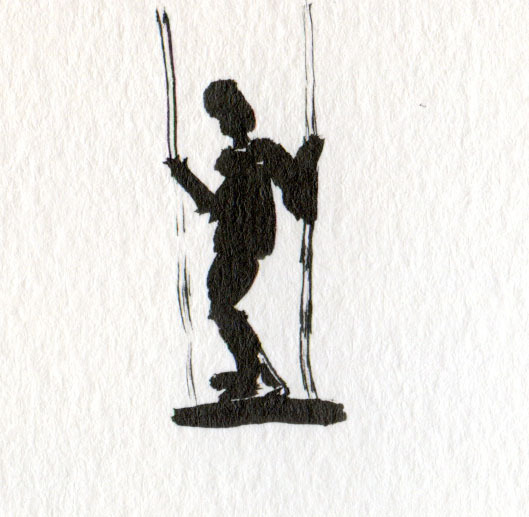 The answer, it turns out, is a very fine nib that’s also very smooth (which keeps poor-quality paper from getting scratched and snagged, exacerbating the feathering potential). Fountain pens with extremely fine nibs are easy to find. But an extremely fine nib that’s truly smooth? That’s a rare treat! 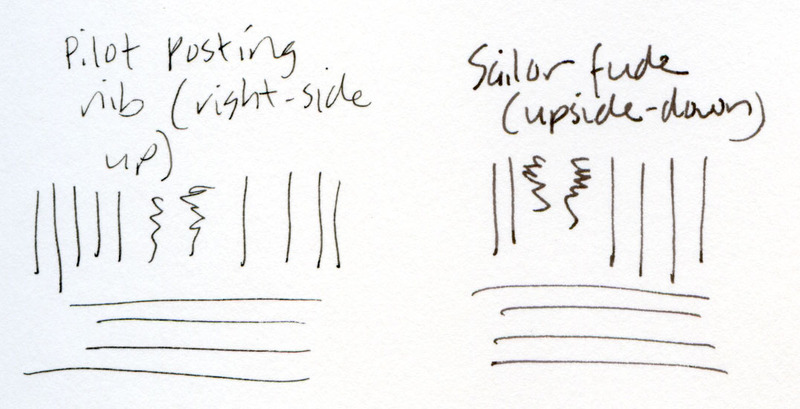 You can see from my line-stroke comparisons that the Pilot posting nib is quite a bit finer than my Sailor fude turned upside-down. It’s as fine as the Zebra Comic G nib – but is much smoother to use. 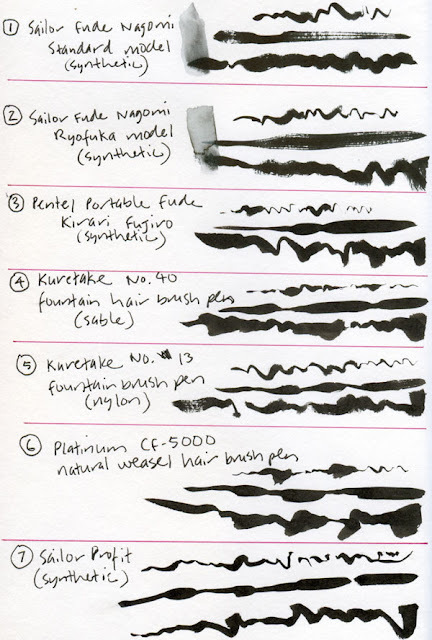 Of course, the posting nib has very little flex compared to the G – the left-most vertical and bottom horizontal lines in the samples were made while flexing – but my need for flexing is minor compared to my desire for a fine, smooth line that I can get without dipping into a bottle. If I apply very little pressure to the posting nib, it feels almost like a soft graphite pencil. 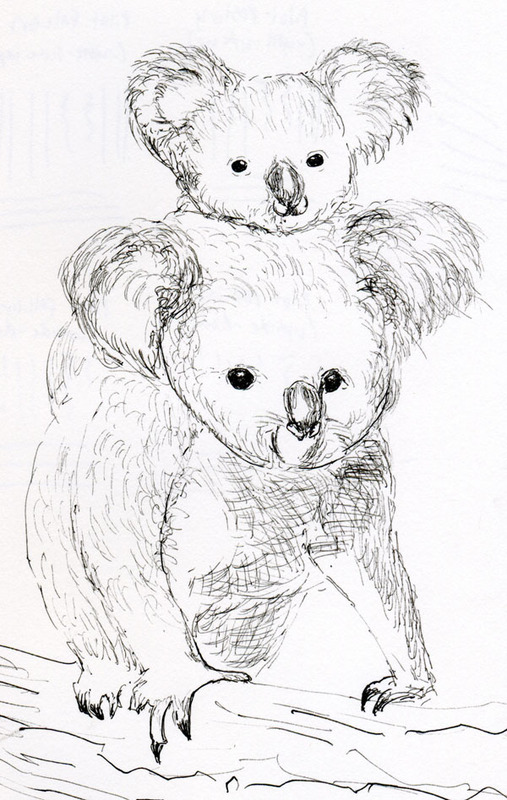 In my sketches, I love the way I could draw fine fur hairs on the koalas (above) and the downy head feathers on the baby robin (below). 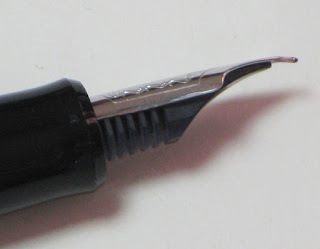 From the front, the posting nib looks like any other nib. Its distinctive characteristic can be seen only in profile: It curves slightly toward the paper. I’m guessing that curve somehow affects the nib’s smooth performance (although its claw-like appearance led me to expect the opposite!). Contrary to what it was designed for, I’ve been using the posting nib to sketch only on high-quality Stillman & Birn sketchbook papers and my usual 140-pound Canson XL watercolor paper. 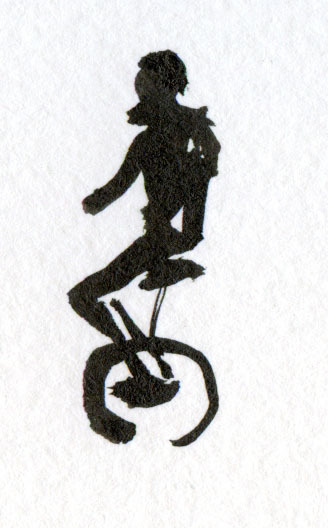 It occurred to me, though, that if the nib is intended for use with cheap, thin paper (newsprint, for heaven’s sake! ), it should do well with Moleskine, Field Notes and other notebook papers that get panned continually for being “fountain pen unfriendly” – papers that cause fountain pens to feather, bleed and otherwise misbehave. 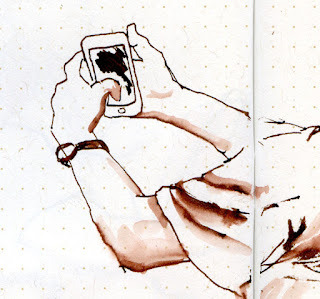 Although I don’t intend to sketch in Moleskine notebooks, I decided to be thorough and test that paper anyway. The pen line on the sketch itself showed no signs of feathering and would have been acceptable. But the reverse side of the page was the deal-breaker: Every time my pen point paused briefly while sketching, a dot of ink bled through. My writing at the top of the page, however, shows little bleeding. 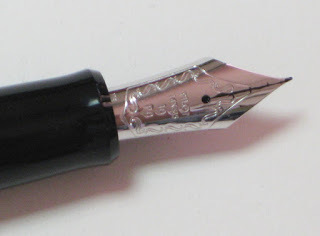 As for the posting nib’s body, it’s a black Pilot Custom Heritage 912 – the identical body to the one I got with a Falcon (FA) nib during my Epic Search. I would have preferred to have gotten a different body for it (or at least a different color) so that I could tell the two pens apart, but the posting nib is difficult to find with any other of Pilot’s gazillions of fountain pen styles. 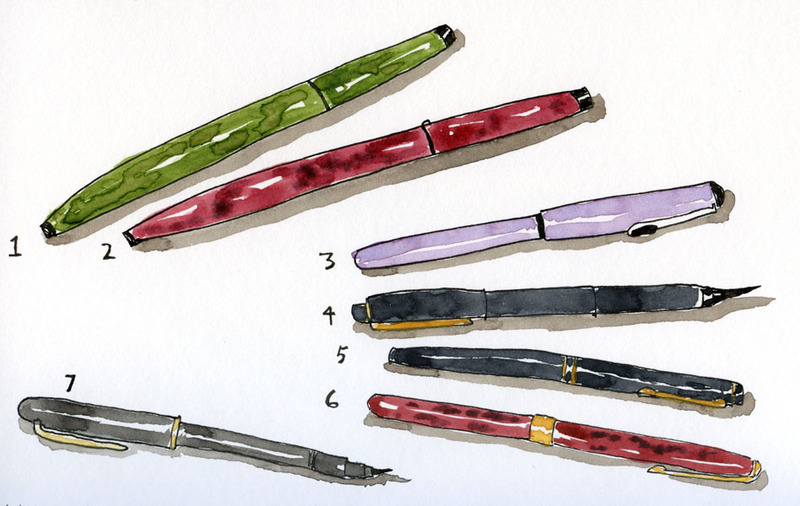 But that’s a minor quibble; the Custom Heritage 912 is a very comfortable pen body for both sketching and writing. The Pilot Custom Heritage 912 body is identical to the one with a Falcon nib. I can’t see using the posting nib exclusively for sketching; it offers no expressive character in terms of line-width variation, which my Sailor fude pens have taught me I can’t live without. But as I learned toward the end of my Epic Search, the ideal, perfect grail can be a combination of pens, each doing what it does best. The Pilot Custom Heritage 912 with posting nib gets a permanent slot in my sketch bag, right next to my beloved Sailor fude.